This is an exciting time @ Fort Barachel, as we continue to serve the community, while supporting our student/athletes & young adults. We try to encourage each of them: to believe in God and that God has a plan for their life’s! Weekly equipping and training them to know and experience God (on a daily bases) by practicing: UP,IN and OUT! THE CHALLENGE: To live in the daily harmony following Jesus example on how to live: “Up”: everyday He got alone with His Father in Heaven, to receive direction for the day, then went to His “In” group (followers) and ask them to join Him and then they went “Out” on mission with God- “Everyday”: Growing deeper in our commitment with God and Others- on Wed. nights “In Squad” Small Group, Attend DN weekends and Summer Camps. Serving on Monthly Mission Projects “SERVE OPS”for our community. Partnering with families to raise their student/ athletes. Engaging Mission Partners Around the World by Praying, Giving or Going! God is @ work all around us and we get to be a small part of HIStory! Come and Find your place in God’s Story!!! 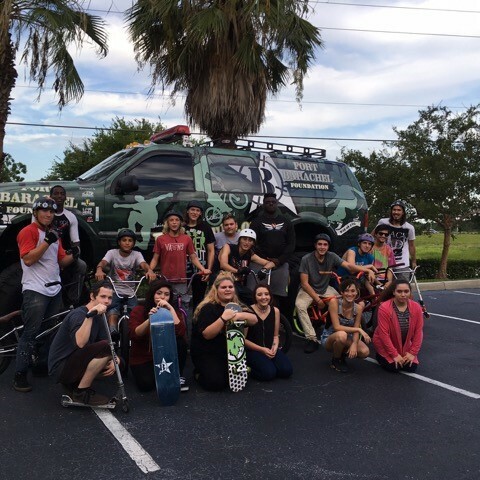 Reaching Action Sports Student/ Athletes with God’s love and forgiveness. Helping them to find their place in God’s story. Providing monthly “SERVE OPS” to impact our local community and partners around the world.